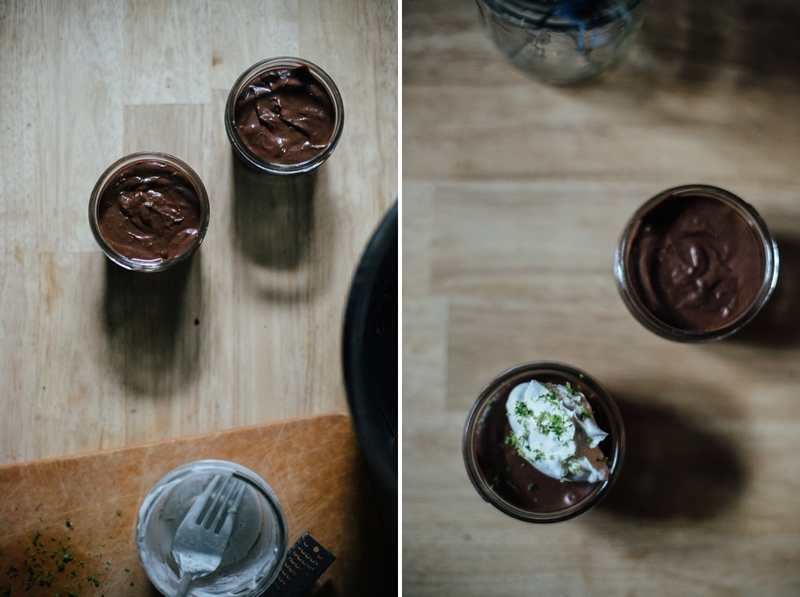 Today, I invite you into my humble kitchen to make a lime spiked chocolate mousse with me. This week we reach the middle of February and with that comes a certain Hallmark holiday that many love to hate or hate to love or just plain ignore. One of my favorite food bloggers wrote today, “Valentine’s Day is so often shunned, but I do think there’s something in it – a day to celebrate love in all its forms, not necessarily the romantic kind. On 14 Feb, I’ve cooked for friends, my sister, my parents, and some years, very happily just myself.” I’m in her camp. I will take any excuse to celebrate the things in life which are good and any excuse to infuse the everyday with whimsy. In elementary school, my grandmother and I always made a special outing to Save-On early February to pick out the best Valentine’s to deliver to my classmates. Choosing between Scooby-Doo and Jem and the Holograms was always tough work. In high school, the boy I was habitually late to second period AP English for surprised me with chocolates and a small teddy bear. Definitely late that day. One year, I had to ask the Trader Joe’s worker if they carried anchovies so I could make my first Caesar salad dressing from scratch. I felt very exotic. I’ll also take any excuse to make and eat more dessert. 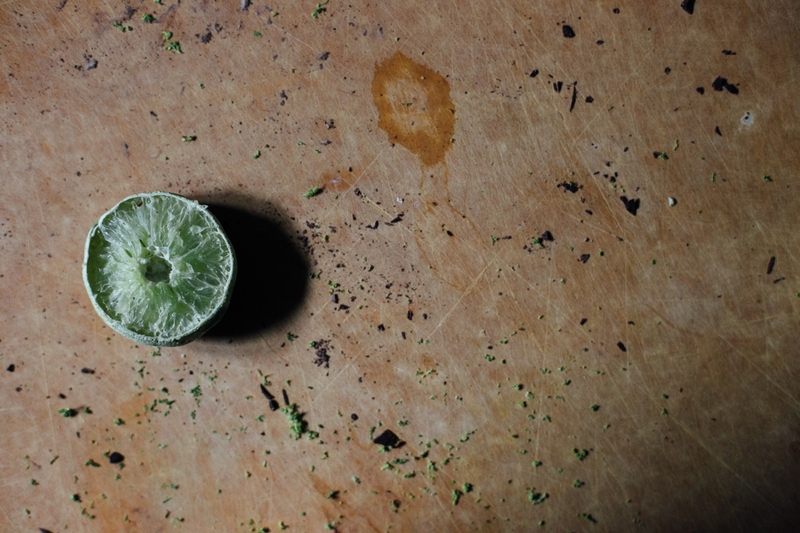 So I bring you love in the form of silk, tangy chocolate and lime. This is vegan, dairy free, gluten free, nut free–all the frees–but it is incredibly decadent, delicious AND simple. Likely you have all these ingredients on hand and if you have about 15 minutes no matter your Valentine’s plans you now at least have dessert. 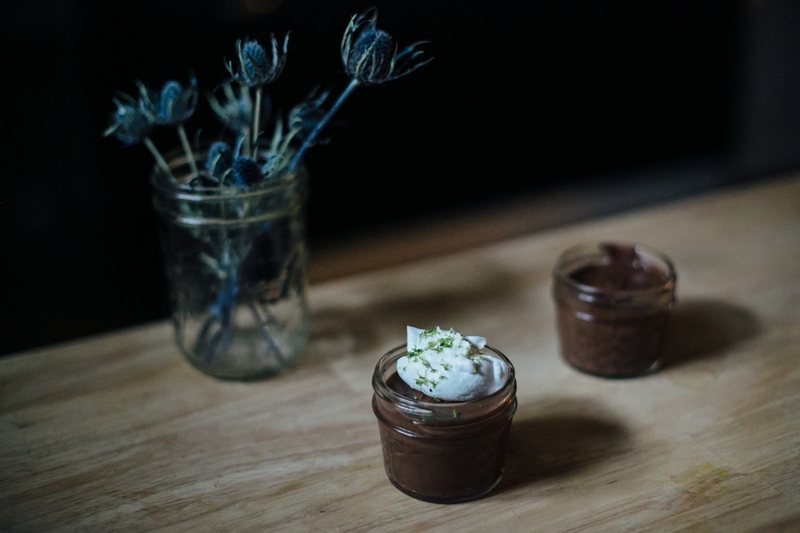 This recipe is adapted from one of my favorite food bloggers and Food52 Genius recipe that talks the science to creating the simplest two ingredient mousse. I have gone the route of coconut milk which adds richness and makes for a thicker mousse, as opposed to the lighter airier variety. 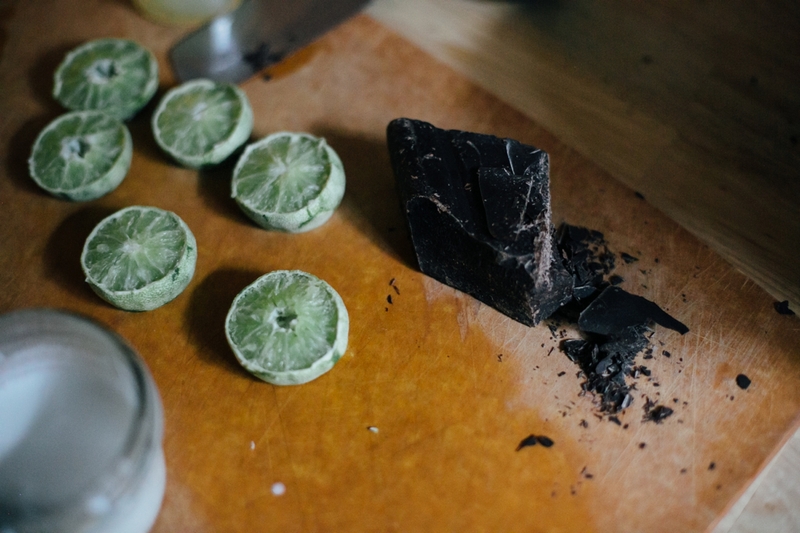 The addition of lime balances the richness of the dark chocolate and serves as a bright reminder of the spring that us Montanans start to long for in February. Cook Time: 15ish minutes Chill Time: 2 hours, but really you could eat it straight away or in an hour, it won’t have set yet, but since I had no problem licking the mixing spoons clean, I’m sure you’ll survive too. Fill a large bowl with a couple inches of water and a few handfuls of ice. Place a medium sized heat-safe bowl over a sauce pan filled with about an inch or so of water (make sure the water does not touch the bowl). Add your chopped chocolate and melt the chocolate, stirring often, over medium heat. Meanwhile, in a small bowl or liquid measuring cup combine the remaining ingredients and mix to evenly combine. 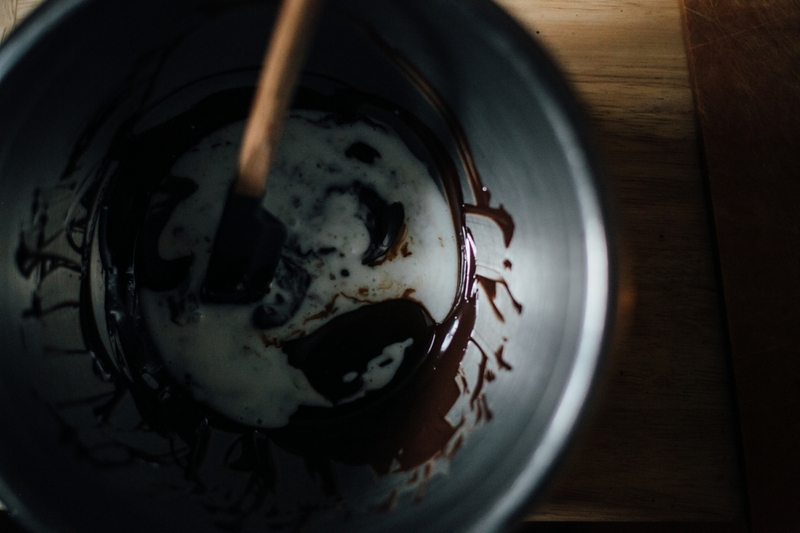 Once your chocolate has fully melted, turn off the heat and add your coconut lime mixture. Stir to mostly incorporate, being sure to scrape down the sides. If your coconut mixture was quite cold it may re-solidfy your chocolate, keep stirring and the residual heat from the sauce pan will melt it again. Remove your bowl from the sauce pan and place in your prepared ice bath. Immediately, begin to beat your chocolate mixture on medium low speed. First it will bubble, and then rather quickly lines will begin to form. This happened in about a minute for me. 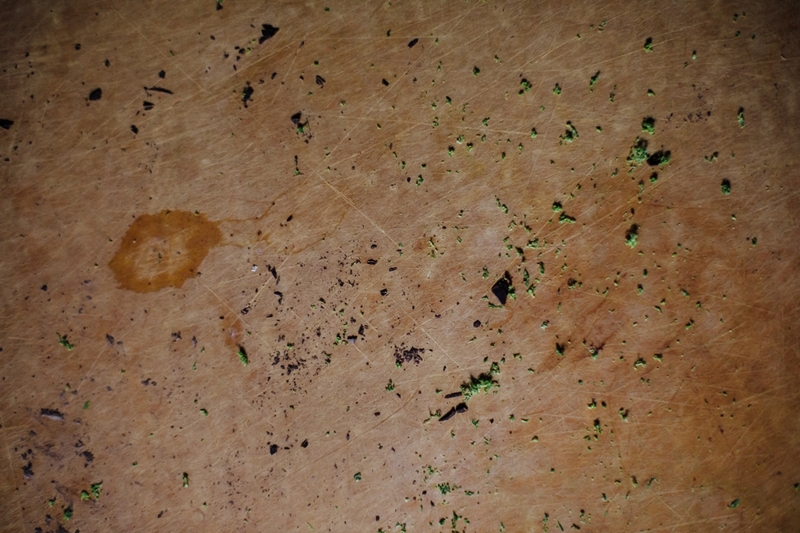 Once you see lines, stop beating and jiggle your bowl. You’re looking for a largely pourable texture that is only barely starting to hold structure. If you over beat your chocolate coconut mixture don’t worry, just return it to the saucepan and reheat until it is thin and pourable and then beat again. Quickly, pour into small ramekins. I use mini mason jars. Drop or tap your ramekins softly onto your countertop a few times to work out any air bubbles then cover and refrigerate for two hours. 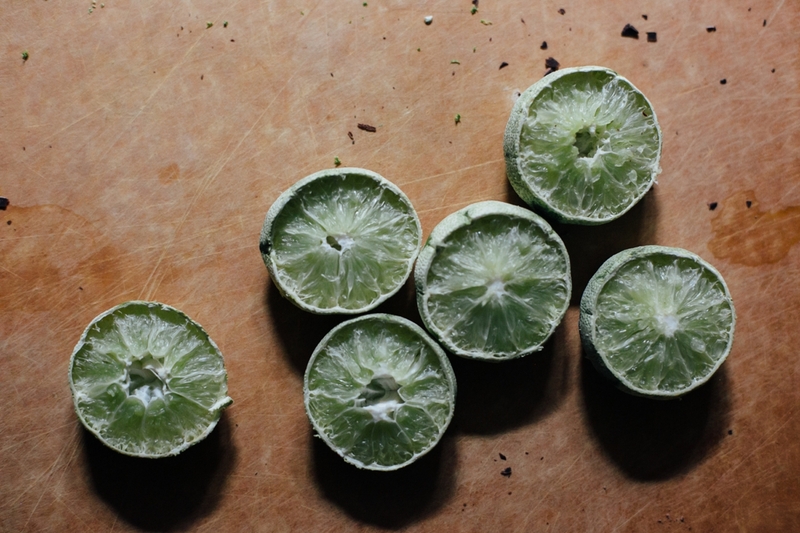 When you are ready to serve, top with coconut whipped cream and more lime zest. These can be made in advance and should keep in your fridge for 5 days or so. *Alternately, you can swap almond milk for the coconut milk and water. It is a lighter and also very delicious. Since lime and coconut pair so well though and I’m really into making things creamy I went the coconut route here. **Real whipped cream would be perfect too. I also think a dollop of thick coconut yogurt would work wonders here.